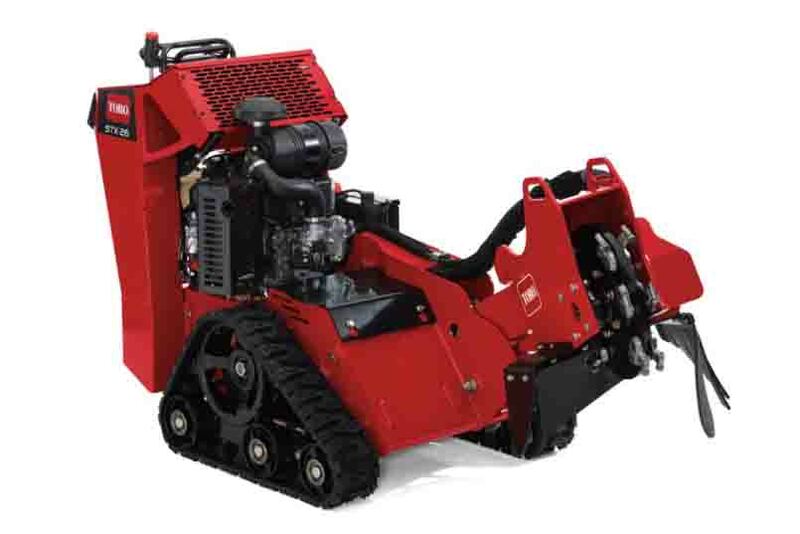 Rental Depot & Party Station, Inc. Rochester Minnesota - Stump Grinder. The Intelli-Sweep® feature automatically slows the sweep speed of the cutting head based on the load of the wheel, so heavy cutting loads won’t bog down the engine. The tracks travel easily over muddy areas, with the low center of gravity adds side hill stability for access to any job, in any condition. In addition, the hydraulically driven head means no chance of expensive belts breaking or slipping no adjusting tension - guaranteeing optimal performs time after time.